RPC-666 engaged by Authority reaction forces. Containment Protocols: Due to the remote and erratic nature of its manifestations, RPC-666 is currently uncontained. Peacekeeping forces in high-conflict African missions, with the approval of UNAAC1, will be seeded with Authority personnel to concentrate the response to an RPC-666 manifestation. A joint-monitoring initiative has been formed between the ASF2, Nigerian DIA3, South African SSA4, and the PCAAO5. A contingent of MST Zulu-45 'Backwater Filter' and the PCAAO 'Sand Serpent' commando unit have formed a rapid-response force to neutralize RPC-666, with limited success to date. Description: RPC-666 is an anomalous Mi-24 (NATO "Hind-A") helicopter gunship, the earliest variant of many manufactured by the Soviet Union and Russia. RPC-666 is most readily distinguishable from a standard Mi-24 by the dried blood encrusting most of its fuselage and the bodies hung by electrical wire from its landing gear and weapons hardpoints. These bodies, while otherwise non-anomalous, vary in number during manifestations from 4 to 17. A few of the recovered bodies (separated from RPC-666 by weapons fire) have been identified as previous victims of RPC-666 manifestations. The only certain criteria for an RPC-666 manifestation is that it occurs in the midst of an armed conflict on the African continent. During these events, RPC-666 will attack a concentration of civilians (typically a village, evacuation convoy, or refugee camp) with rocket and gun armament standard to early Mi-24 variants. 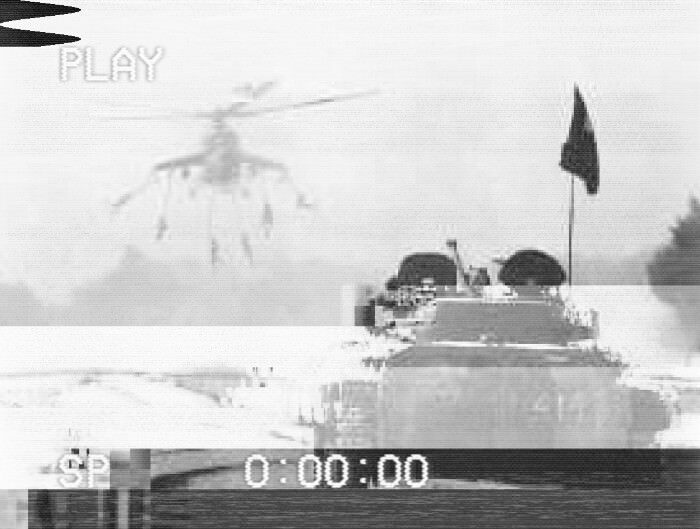 RPC-666 reloads its rocket pods by unknown means between manifestations; after it runs out of rockets during an attack, RPC-666 will switch to its nose-mounted Afanasev A.12-7 machine gun. This weapon has not been observed to have run out of ammunition on any occasion. 1. United Nations Anomalous Activities Committee, the global regulatory body for 'official' anomalous agencies such as the Authority, MI13, PCAAO, etc. 2. Authority Security Force. Armed wing of the Protection Division. 5. People's Committee for the Acquisition of Anomalous Objects: Chinese government agency with strong presence in Africa.